With over 35 years of quality roofing experience, ProLine Roofing are the premier roofing contractors in Massapequa, Long Island. Our roofers promise hard work, ambition, safety and honesty in an effort to maintain a superior presence. We are licensed and insured roofing contractors and specialize in roof inspection, roof repair and new roof installation services in Massapequa NY 11758. Call Proline Roofing today at 516-249-4900. Proline Roofing is the premier roof repair company in Massapequa NY 11758, Long Island. Don't wait to have your roof leak repaired. We are your Massapequa roof repair specialists. With over 35 years of roof repair experience, we are confident we can help stop your roof leak. GUARANTEED! For all of your roof repair needs in Massapequa NY 11758, call ProLine Roofing at 516-249-4900. ProLine Roofing are your attic fan installation specialists in Massapequa NY 11758. Our ventilation fan experts can help keep your whole house cooler with a new attic fan installation. We pride ourselves in offering quality and affordable attic fans in massapequa and throughout Long Island. We offer both solar attic fans and electrical attic fans. For professional attic fan installation and replacement in Massapequa NY 11758, call ProLine Roofing today at 516-249-4900. ProLine is the premier skylight replacement and leak repair specialists in Massapequa NY 11758. We pride ourselves in offering a "No Leak Guarantee!" on all skylight replacement and skylight leak repair on Long Island for over 35 years. We only use the highest quality skylights for all of our skylight replacement services. For all of your skylight installation and skylight repair needs in Massapequa NY 11758, call ProLine today at 516-249-4900. ProLine provides affordable and professional gutter services in Massapequa NY 11758. Don't trust just anyone for your gutters. We licensed & insured and offer gutter cleaning, gutter repair and maintenance as well as new gutters installation. For all your gutter service needs in Massapequa NY 11758, call ProLine today at 516-249-4900. ProLine Roofing are the premier flat roof installation, flat roof repair and flat roof coatings experts in Massapequa NY 11758. We provide flat roofing services throughout Long Island. For all of your flat roof needs in Massapequa NY call ProLine Roofing today at 516-249-4900. 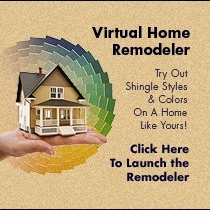 Need a Roofer on Long Island? We Can Help! 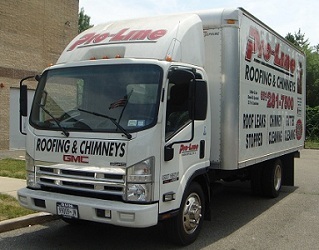 ProLine Roofing is the premier family owned roofing company in Massapequa NY 11758. With over 35 years of roofing experience, we are your roofing specialists in Nassau County NY. We are confident we can help with your new roof installation, roof repair, roof inspection and roofing maintenance. When you need a quality licensed and insured roofer in Massapequa NY 11758, Long Island, call ProLine Roofing at 516-249-4900 for a free roofing estimate. Same day service available. A Message From The Owner…….